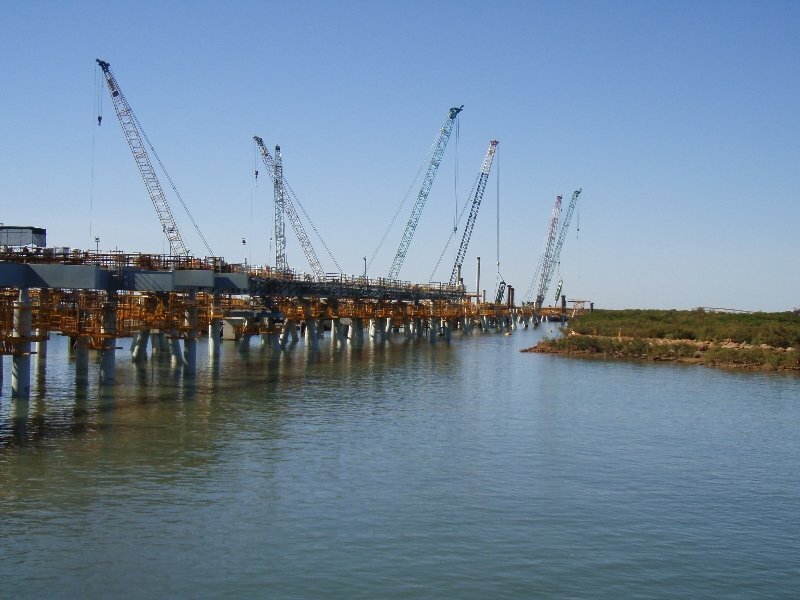 Contracted by McConnell Dowell, CADS provided assistance with the construction of Rapid Growth Project 5 and 6 Marine Works, which consisted of 1.8km of wharf infrastructure, 34 berthing dolphins, and a heavy lift facility at Port Hedland, WA. 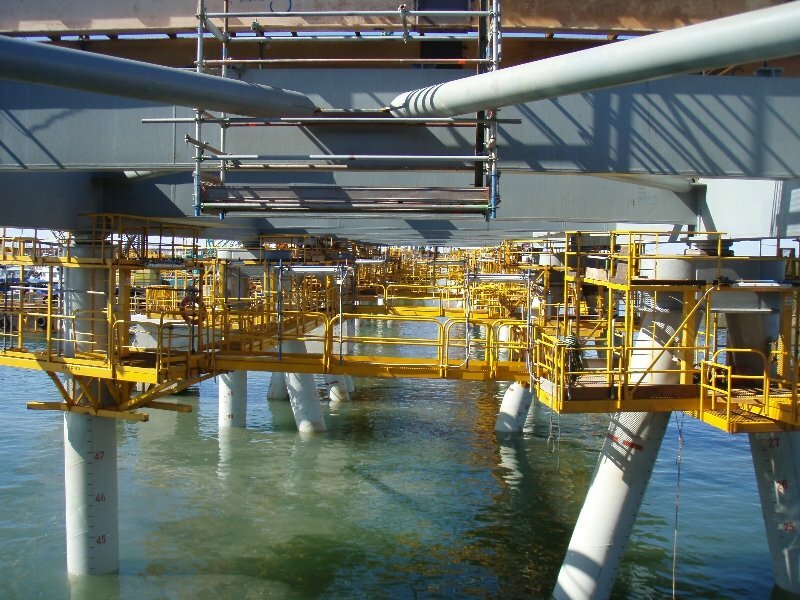 CADS set-out and provided “As-Built” surveys of piles, crows nest orientations and positions, pile caps, module landing guides, modules, jetty survey control, precast and insitu concrete, shiploader rail, conveyor trestles, conveyor pedestals, conveyor idler rollers, underslung walkways, and dolphins. 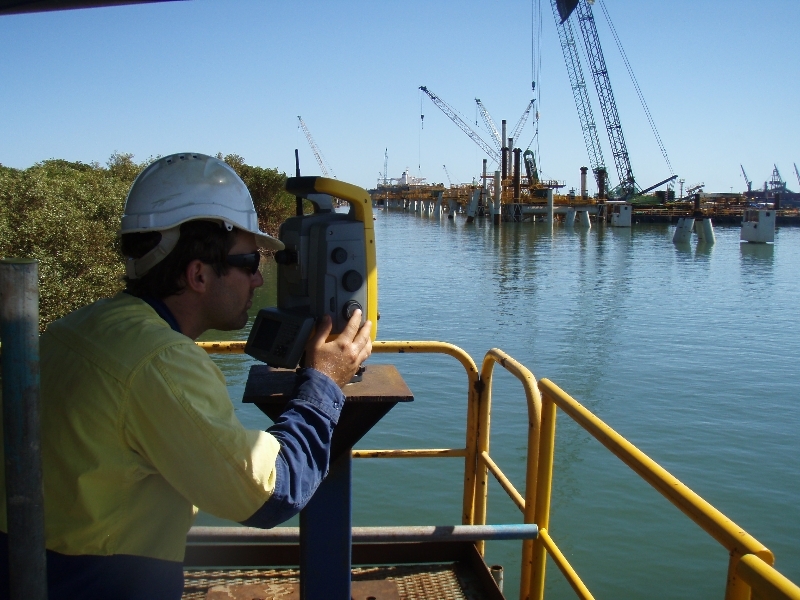 We also designed, setout, monitored, and reported on the locations of barges, anchors, and piling templates within the active port, and designed and setout terrestrial crane locations for marine piling and trestle positioning.